FIANNA FÁIL and Fine Gael once more joined forces in Leinster House to block progressive legislation aimed at protecting ordinary workers. He explained there are safeguards and checks in the Bill, both for the employer and workers, and any dispute would be decided by the Workplace Relations Commission. “It impacts on workers being able to plan their lives. Effectively, they are in financial limbo in terms of being able to plan their daily lives. 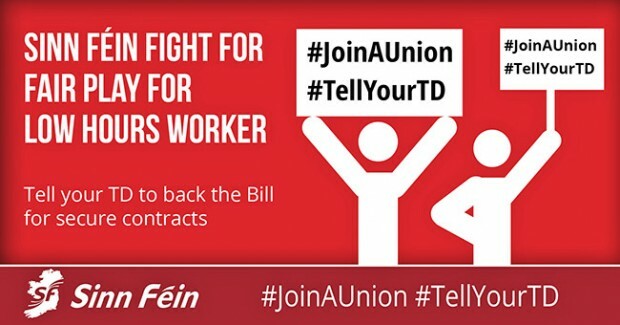 While opposition from the party of big business, Fine Gael, was unsurprising, Fianna Fáil’s Niall Collins TD railed against the Bill despite his party leader promising to ban zero-hours contracts in the February general election campaign. Much of his speech focused on issues north of the Border, accusing Sinn Féin of doing nothing to get rid of zero-hours contracts there. Of course, had Collins actually looked into the matter he would have seen that Sinn Féin had brought forward amendments in the Assembly to the Employment Bill to ban zero-hours contracts but that this was blocked by Alliance Party Minister Stephen Farry last February. Niall Collins then went on to bizarrely claim that amendments put forward by his party, which include an attempt to delay the Bill for one year, had the support of the Irish Congress of Trade Unions (ICTU). This prompted ICTU to phone Sinn Féin offices moments later and confirm that what Fianna Fáil had claimed was utter tripe. “We have just been contacted by ICTU which would like the record to be amended to the effect that Fianna Fáil has no basis for its claim and that Deputy Niall Collins will receive a letter from ICTU in the morning setting him straight. 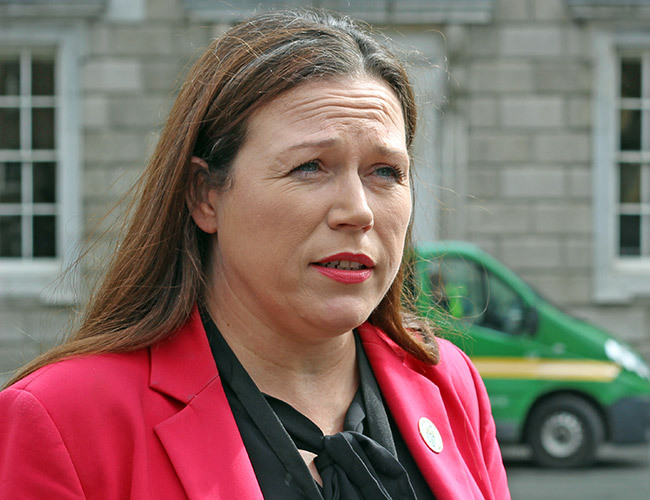 She accused Fine Gael and Fianna Fáil of teaming up to protect unscrupulous employers. Clearly upset at being caught out earlier in the evening, Niall Collins then spent much of the rest of the debate gratuitously heckling those speaking. Fine Gael’s Mary Mitchell O’Connor (Minister for Jobs, Enterprise & Innovation) carped that the Bill would add “significant burdens” on employers, one of which would be requiring employers to display notices outlining availability of working hours over the next month. “These notices will have to be in English and Irish and in other languages as required. Imagine telling a Silicon Valley company that it has to display work rosters as Gaeilge in Ireland,” she complained. It was a comment which Sinn Féin’s Pat Buckley described as shameful. “It is our national language,” he retorted. Fianna Fáil’s amendment to defer the passing of the Bill for at least 12 months was passed by 100 votes to 43. Fianna Fáil, Fine Gael and some Independents voted to defer the Bill while this was rejected by Sinn Féin, Labour, AAA/PBP, Social Democrats and the Green Party.